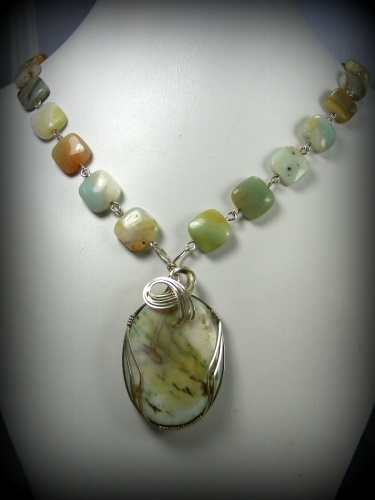 This pretty necklace has a gorgeous focal of agate that has been designed in sterling silver curls and has matching agate gemstone square beads. Piece has lt browns, tans, aqua and white amoung other colors. Piece has a hook clasp and measures 19".